An expert in gamma rays, Bruce accidentally absorbed huge amounts of gamma radiation during a military weapons test. 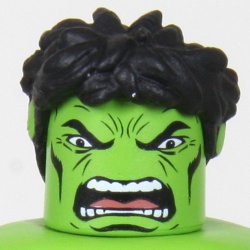 Now, when his anger or negative emotions reach a boiling point, he transforms into the green-skinned Hulk! An expert in gamma rays, Bruce Banner accidentally absorbed huge amounts of gamma radiation during a military weapons test. 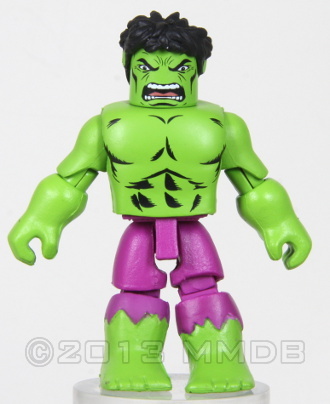 Now, when his anger or negative emotions reach a boiling point, he transforms into the green-skinned Hulk! Minimate transforms from Hulk to Banner!